The heart of downtown Atlanta is the only section of Atlanta that still shows some traces of urban architecture of the 19th century — long before the advent of expressways and the automobile-centered lifestyle for which Atlanta has become notorious. As a result, there are small enclaves — such as the Fairlie-Poplar neighborhood — that put out true urban vibes. Loft and condo conversions in Downtown compose a residential boomlet, and a new civic association is tapping into that new growth. Parkpride.org keeps a list of the dozen or so public green spaces downtown and throughout Atlanta for visitors and residents to enjoy. Downtown Atlanta is still struggling to become the 24-hour city that we all would like to see. Two big contributors to that vision, Georgia State University and Centennial Olympic Park are the anchors for the revitalization of Downtown. Nearby to the park are the Georgia Dome (the home of the Atlanta Falcons) and the Georgia World Congress Center. All three are state-owned and together compose one of the largest sports, entertainment, and convention centers in the world. Don’t forget that Downtown is also home to a couple more “feathered” professional sports teams: the Atlanta Hawks and the Atlanta Thrashers. They both play in Philips Arena, a state-of-the-art facility that also hosts major concert events. 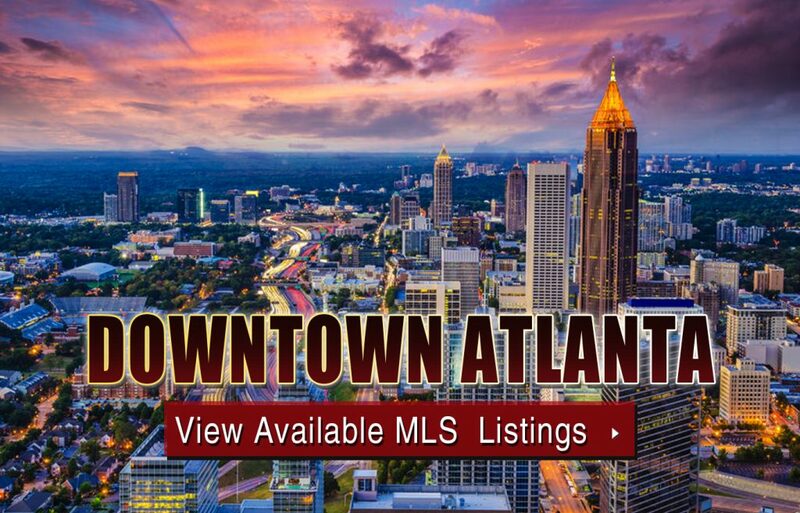 If you’ve been searching homes and condos for sale in Downtown Atlanta and are ready to take your search to the next level, give us a call now to schedule a private home tour of a listing you see that’s currently available on the MLS!